Here’s a look at what’s coming out from non-Big Two, independent comics publishers in August 2016. 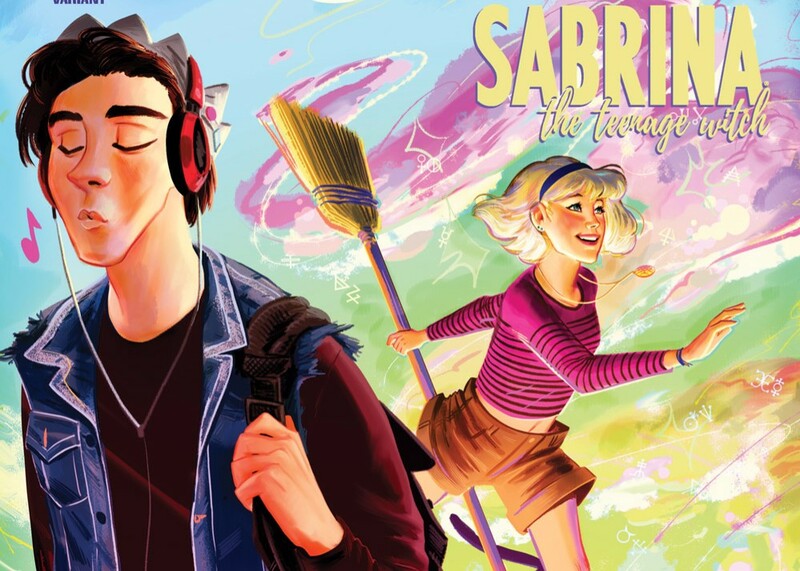 “Jughead” for September sees the introduction into the rebooted-Archie universe Sabrina the Teenage Witch. I wondered if they’d reintroduce her into this revised setting, given witchcraft powers seem a bit fantastical for the new Riverdale. But unless they’re being vague about Sabrina’s powers, I guess not? Boom! produces its first “Garfield” original graphic novel this month. It’s also coming out with a trade paperback for “Goldie Vance,” which has now been promoted from a miniseries to an ongoing series. From IDW, “March” is receiving a third volume in the series about the civil rights movement. A new “Atomic Robo” miniseries is also kicking off. Finally, the US sees for the first time in English the Italian series “Paperinik New Adventures” (or “Duck Avenger” as Paperinik called here). If wondering, Paperinik/Duck Avenger is Donald Duck’s Batman-like superhero identity in a long-running series of European stories. Oddly, it’s gotten little publication here despite superheroes’ traditional dominance in American comics.